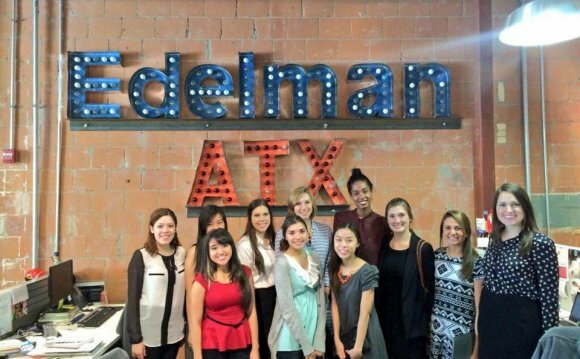 Ever wondered what it’s really like to intern at Edelman? Wonder no more. Meet Ricky, Geneviève, Tanya, Alberto and Antonietta — just a few of our interns from around the globe. Learn about who they are, how they landed their internships, the best parts about working for Edelman and the advice they have for others interested in interning at the firm. I am from Chicago, IL, USA. I have lived in Chicago for my entire life, and have appreciated the opportunity to represent Chicagoans abroad during my time in Hong Kong. I am about to begin my sophomore year at Duke University, where I plan to focus on Public Policy and Economics. Describe your typical day at the office. Do you interact with clients? My typical day usually begins with morning media scans and then will span a broad range of potential tasks, including creating video storyboards and scripts, conducting research, drafting newsletters, filming video and creating PowerPoint documents. I also manage the Intern Blog, which gives interns an outlet to collaborate and share their Edelman experiences in creative ways and follow that by creating a post on our Hong Kong Facebook page. While direct client interaction has been minimal this summer, among my favorite work streams is creating scene setters and scenarios for our clients’ crisis media trainings. These scenarios contribute to clients’ training and preparation for real crises they may face in their businesses. What’s your favorite part of being an Edelman intern? I have been pleasantly surprised by the impact interns are expected to make and by Edelman’s general inclusiveness. Through this inclusive, team-based environment, I have begun to understand how Edelman serves its clients, particularly those with a truly global reach in an increasingly fast-paced, international business climate. Is there anything you wish you knew before beginning your internship? This is an interesting question, because my answer is in some ways “Yes” and in some ways “No.” While I spent a lot of time toward the beginning of my internship wishing I knew how to do different things that challenged me, the steep learning curve and pressure that comes with working on tasks for the first time is part of what has made this internship so special. So, my answer is really “No.” However, I will learn from my experience at Edelman how to better prepare in the future. What advice would you share with those seeking an internship at the firm in the future? I would advise them to contact Edelman as far in advance as they can to give themselves the best opportunity to get an internship. I would also suggest they tell Edelman any specific interests they have. Edelman Hong Kong has several distinct teams, each of which requires interns with different backgrounds and skills. I’m an Italo-Québécoise, women’s rights advocate and style enthusiast. I’m from a quiet city surrounded by nature, and I studied Health and Environmental Disaster Management. I’m a big believer in being authentic, creative and respectful. Three months, or one summer season. What attracted you to Edelman? I have always gravitated towards new and vibrant challenges. With a background in science, I have always had a flair for creativity and an attraction to the PR industry. Also, when I arrived at Edelman, I was inspired by the strong and intelligent women working here and I knew I wanted to be a part of that environment. What kind of experience do you hope to gain from your internship at Edelman? Learning and growing as much as I can. I would like to learn valuable transferable skills such as communication and conflict management; gain wisdom, good reasoning and good judgment. Tell yourself this: “I’m going to make it happen.” Present yourself in a professional way while keeping a touch of your personal style and uniqueness. Genuine inner potential will always strike more than perfect but fake answers during an interview.